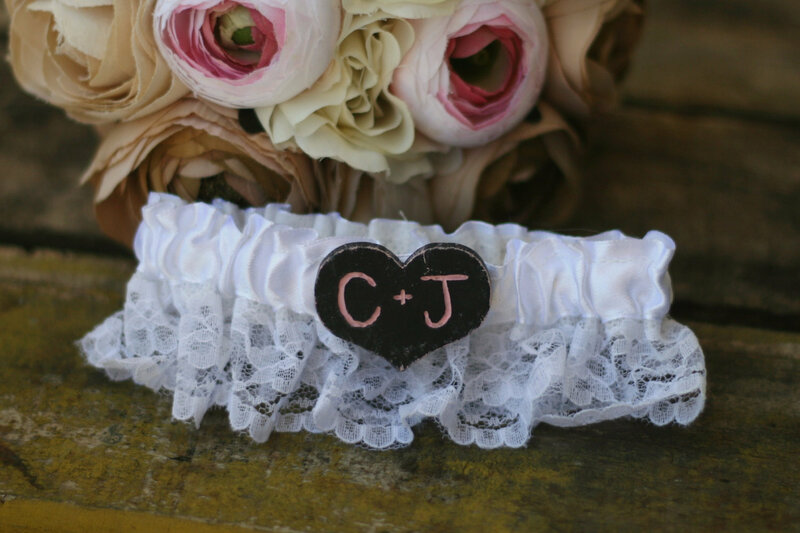 Garters don’t have to be plain and in fact, there are many ways you can jazz up your garter by adding a lucky charm to the bow. There are many different charms you can choose to symbolize the love between you and your fiance. 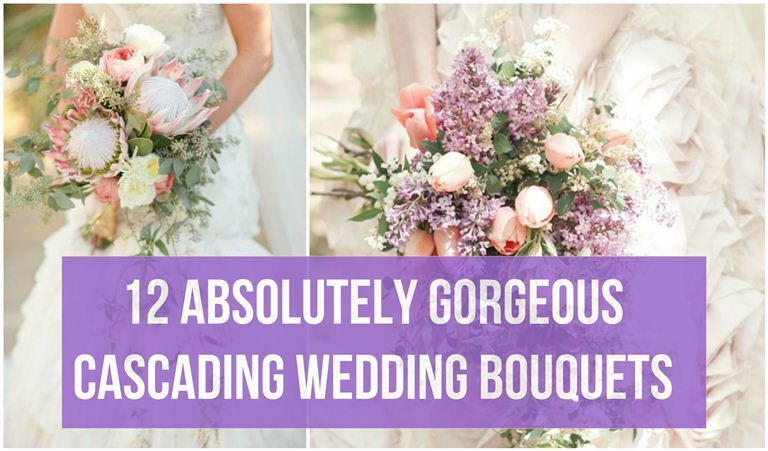 Best of all, you can add these charms to any garter you pick out with nothing more than a needle and thread. The practice of placing charms on the garter dates back to the Victorian era and there is no limit to the number of charms you can add to your garter. Here are top 10 lucky charms to add to bridal garters. Wishing on a star is said to bring good luck. Adding a wish star to your garter just might do the same. 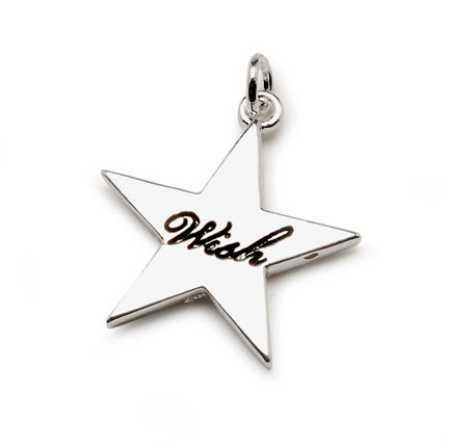 You can find stars in both gold, silver, and pewter with the words ‘wish’ already imprinted on the surface, or get a plain star. 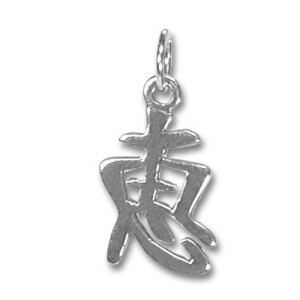 A Chinese blessing charm incorporates the Chinese characters to spell the word ‘blessing’. These charms can be found in enamel or solid silver and gold. Adding a Chinese blessing charm is a unique way to tie in the culture and beliefs of good fortune for your marriage. Adding a horseshoe to your garter may help bring a little bit of fortune and luck your way. 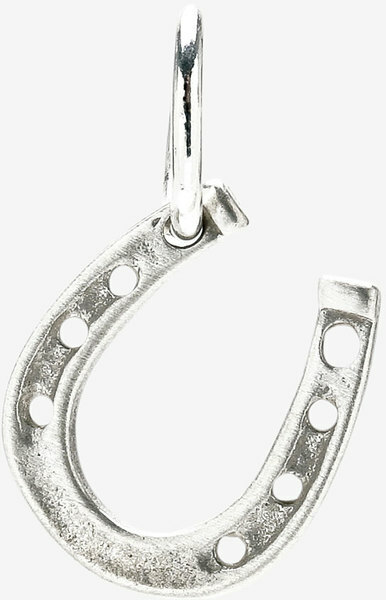 The superstition behind horseshoes is that if they are left hanging with the open end upward, good luck and fortune will fill the open portion up. 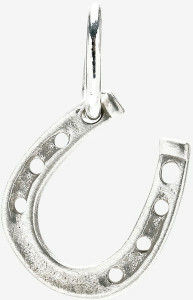 Horseshoe charms often come with the hanging hook at the top of the open portion in order to fulfill this belief. 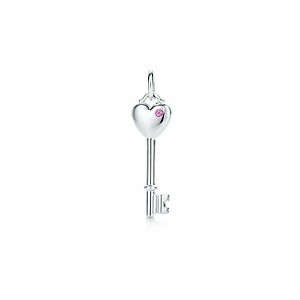 A key to the heart charm symbolizes your spouse being the keeper of your love. You can also purchase a symbolic heart with a keyhole and have it stitched into the garter or into the pocket on the groom’s jacket. Any key charm will work and they can be as plain or ornate as you choose. Create a personalized charm by having your names or initials engraved in a silver or gold heart. You can even choose to add a crystal in blue to symbolize your ‘something blue’. Other ideas for this type of charm include adding an additional charm to the heart. Bring a little luck of the Irish to your garter with a four leaf clover charm. 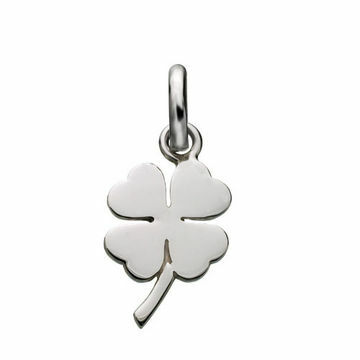 Four leaf clover charms come in varying sizes and materials including gold, silver, brass, and enamel. If you are looking to add a little bit of green to your garter, choose an enamel charm. 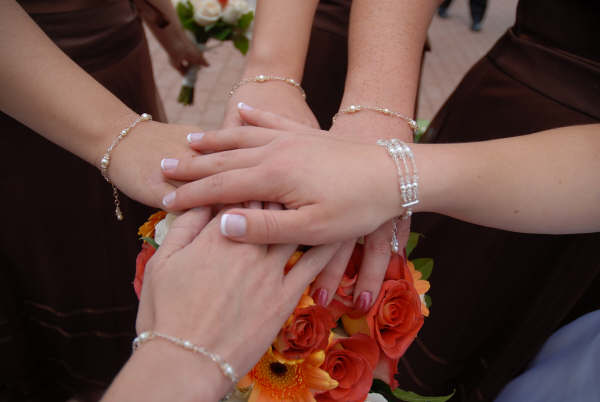 Show your faith in each other and in God by adding a symbolic cross to your garter. Crosses come in a variety of metals including bronze, brass, silver, pewter, and gold. You may also be able to have your names engraved in the cross depending on the metal you choose. 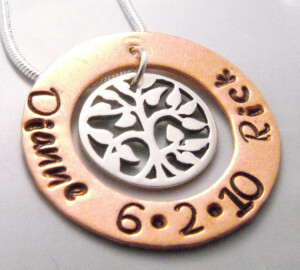 Commemorate your special day by choosing a hand stamped charm with your names and wedding date to add to your garter. 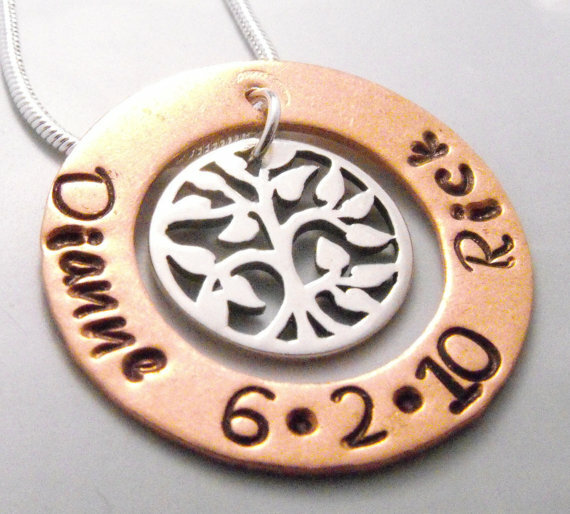 Your name and date can be stamped on a variety of shapes and include a tree of life charm to symbolize your bond and growth as a new couple. If you choose to throw only one garter at your reception (instead of keeping the one you wear and throwing a backup), adding this type of charm to both garters is a great way to remind the single man who catches the garter of where he got it from and you of your special day. Instead of tossing a sixpence coin into your shoe for good luck and your ‘something old’, consider adding a sixpence charm to your garter instead. 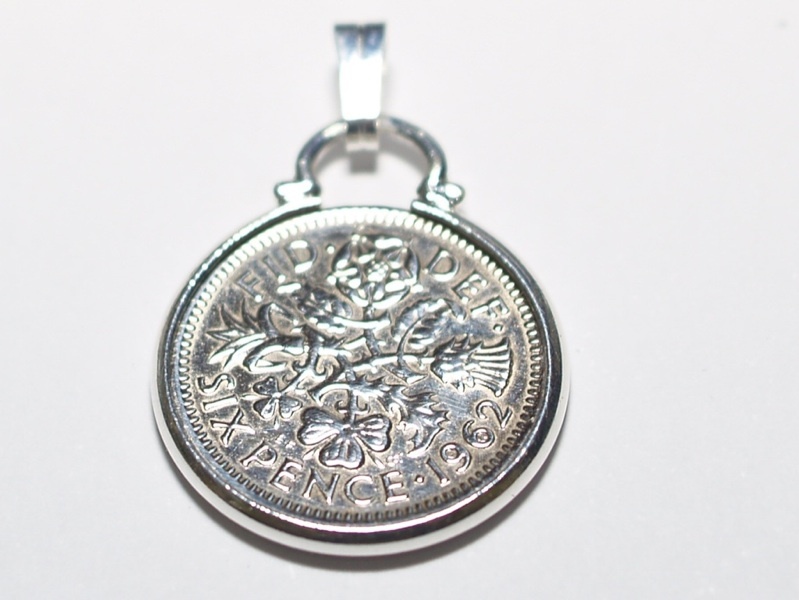 Sixpence charms can be found as replica coins or real minted sixpence coins. 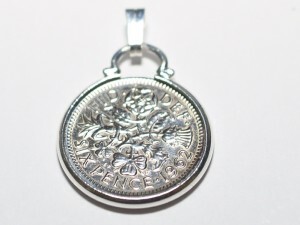 The tradition of carrying a sixpence as something old dates back hundreds of years. Not all garters need to be blue. There is a way to add your ‘something blue’ to another colored garter by choosing a something blue heart charm. 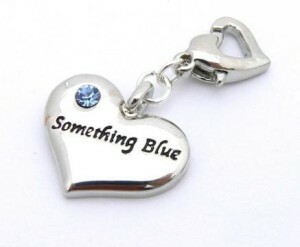 These hearts come in silver with a small blue crystal and the words ‘something blue’ engraved. Choosing a charm is a unique way to bring out your personality in your garter. Since most garters come plain, adding these charms is simple and only requires basic hand sewing skills.